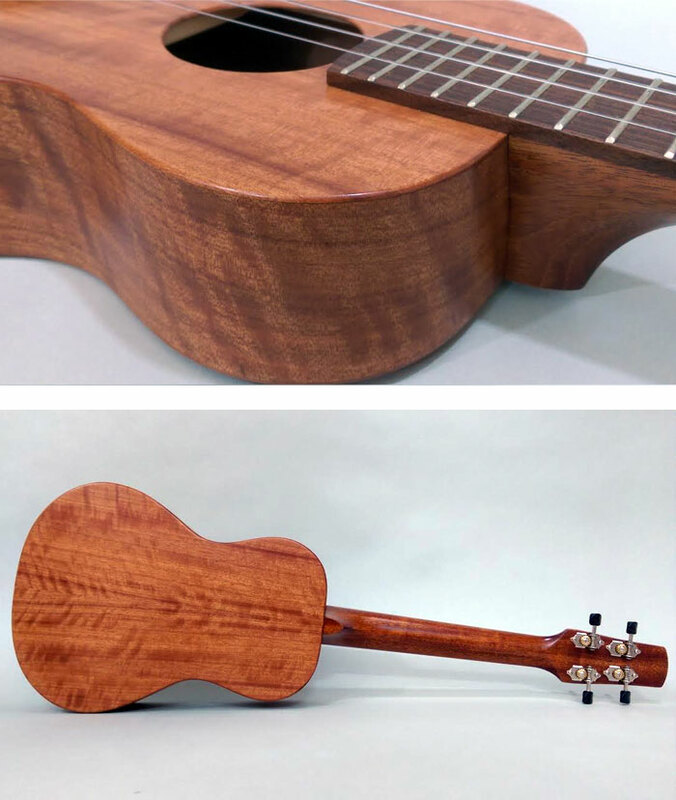 I use the term ‘Hawaiian Style Tenor’ (HST) for instruments shaped in the traditional Hawaiian style using matched hardwood for the back, front and sides. 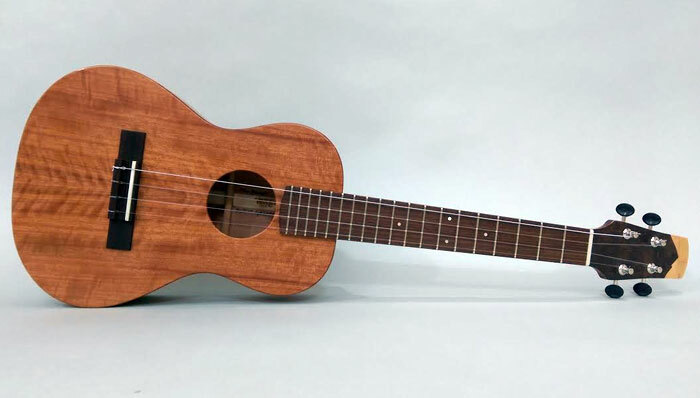 For that traditional sound I use premium curly koa harvested from the Big Island. I have a very limited supply of this and a small amount of Phu Quoc Island acacia. As an alternative I have Afara. I call it blackline korina because I select boards that have got the early stages of spalting that creates black spidery lines throughout the face. It has a palette of sound and projection not dissimilar to koa and is as equally rare and exotic. Scale length is 17.1” with a 19 fret fingerboard joining the body at the 14th fret. I will use Tanzanian leadwood or ebony for the fingerboards and tie/knot bridges. Pearl dots on the face of the fingerboard mark off the 5, 7 and 10 frets and I add side markers at the 7th and 12th. There is no rosette. Body depth is 65mm at the lower bout tapering to 55mm at the neck joint. A side port is standard and is for player sound definition. Price: £1495 with case. Delivery extra.